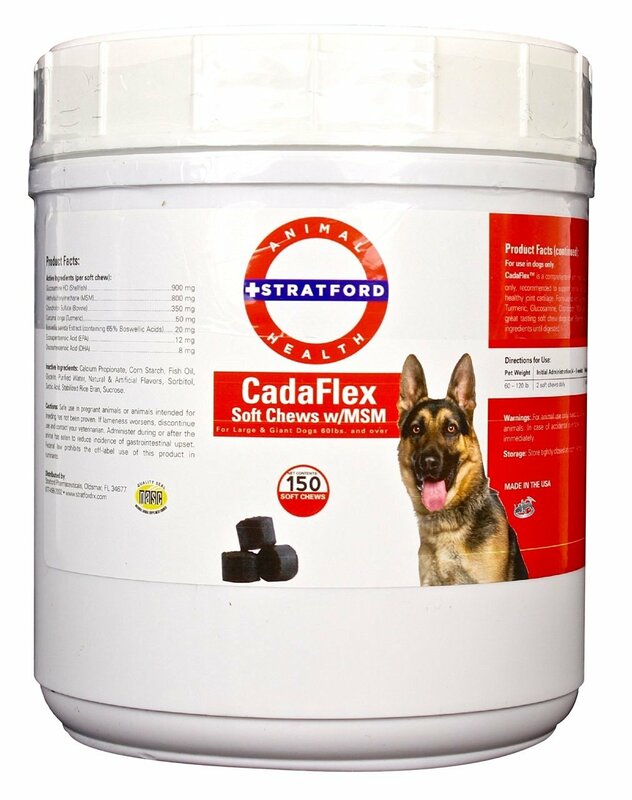 CadaFlexTM w/ MSM is a comprehensive joint health supplement for dogs recommended to support normal joint function and exibility and healthy joint cartilage. Formulated with a synergistic blend of Boswellia, Turmeric, Glucosamine, Chondroitin, MSM and Omega-3 Fatty Acids in great tasting soft chew or chewable tablet dogs love! Patented sealed matrix protects the ingredients until digested.